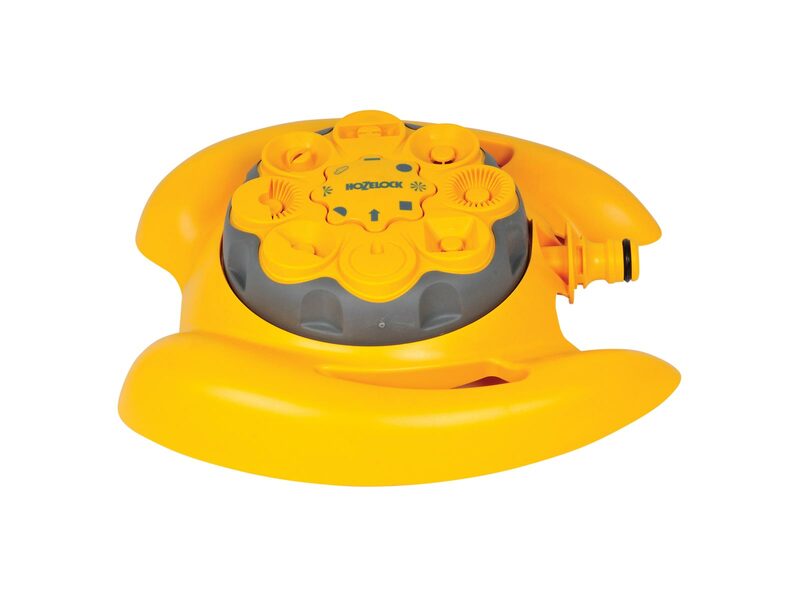 Easy to use dial garden sprinkler – 8 patterns to suit all watering shapes and types. Perfect for all surfaces – Mounted on sled base to suit all surfaces. Easily Adjustable – Complete with soft-touch easy-grip adjuster ring for changing spray patterns even with wet hands. Suits all watering shapes & types – There are 8 spray patterns – small semi circle, large semi circle, mist, strip, large circle, small circle, square and remote jet.